Canada Day, July 1 2014, was a cold and miserable day. A terrible beach day. The five park employees playing cards on the deck of the life guard cabin outnumbered the three 20-somethings drinking beer in a tent-like shelter at the far end of the lake. I was there cooling down after a jog around the Lakeview Trail — my favourite running trail around Winnipeg. I was there again the following Saturday, which happened to be hot and sunny. It was the first really nice Saturday of the summer. The line-up to get into the park stretched out close to Highway 59, the parking lots were full, and the beach was jam packed. There are a few days a year like that, where the beach is at capacity. Aside from being a little chaotic for beach-goers, “this overcrowding raises concerns about emergency response and risk management on the beach and in the beach parking lots” according to the government. Perhaps for this reason, partly, the Province has launched a $5 million expansion of the beach as part of a $22 million on-going renovation of the park. 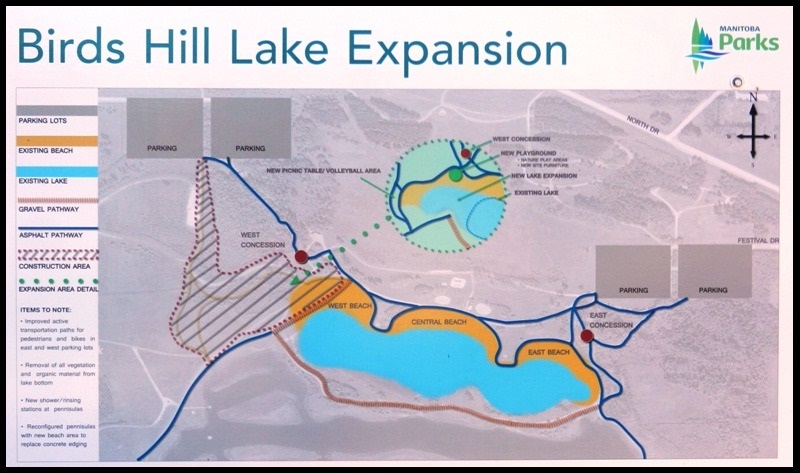 A new concession stand will be built, a new playground constructed, the beach extended, and the lake will be expanded by about 25% according to their pamphlet. 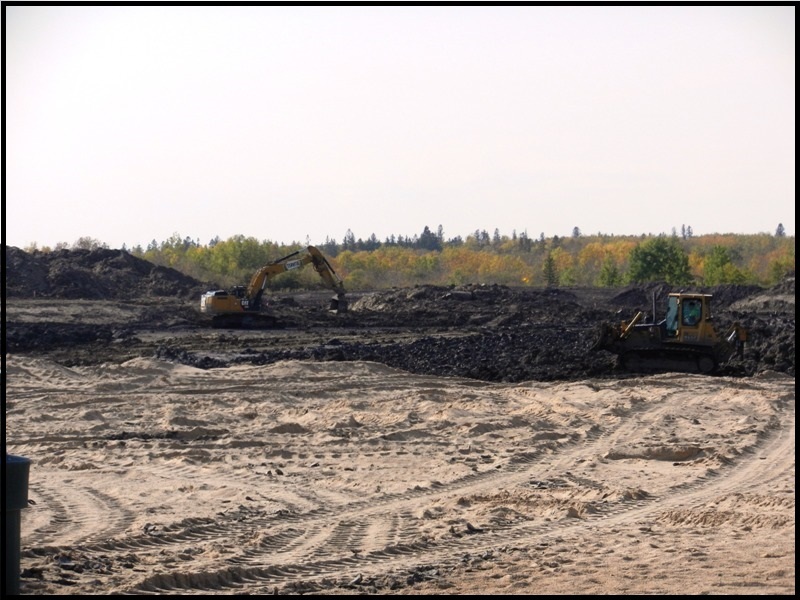 The plug has been pulled, the lake has been drained (which has to happen periodically anyhow for cleaning) and equipment has started digging away. 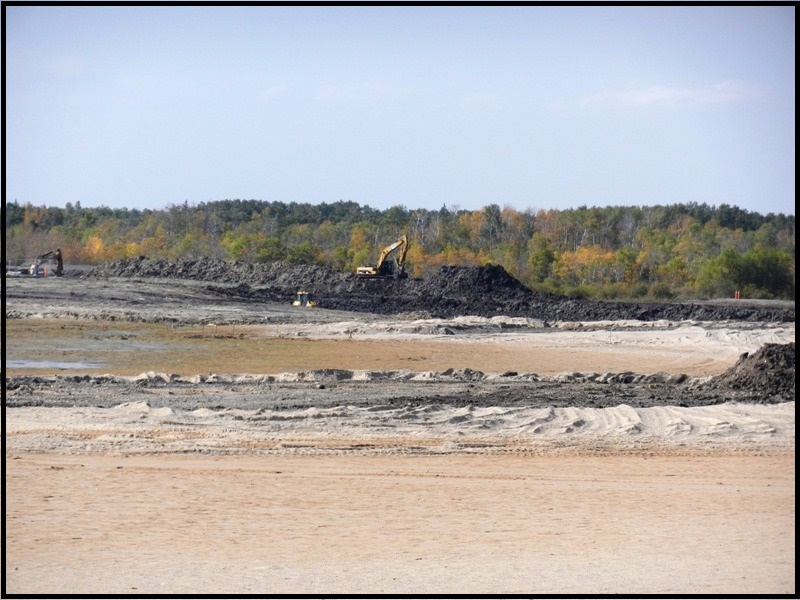 If you go there right now, the area resembles an open-pit mine more than a beach. 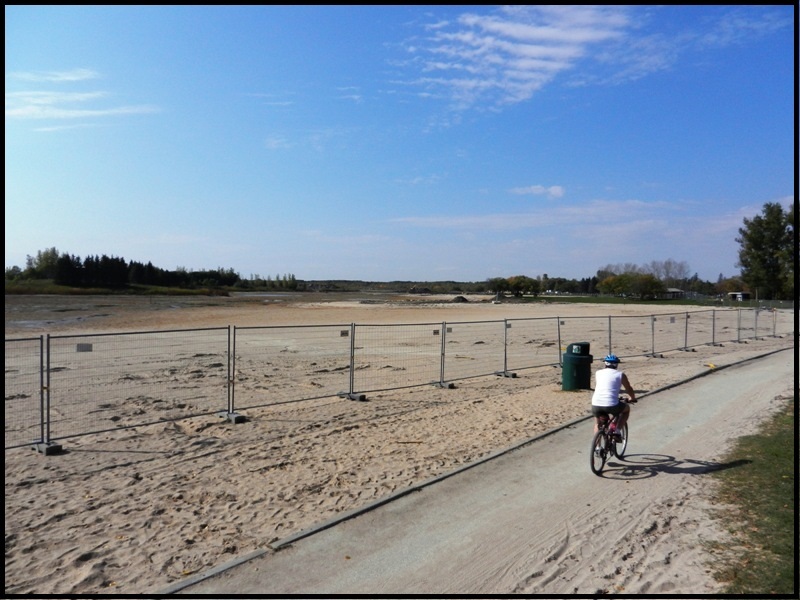 The Lakeview Trail has been diverted around the construction, and the entire beach has been closed off, but if all goes well it should be ready to go next summer. 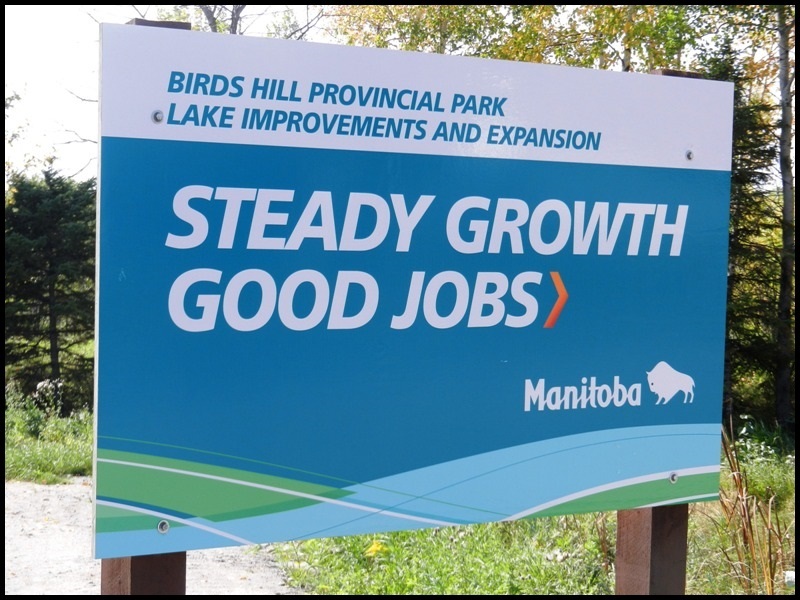 With Winnipeg’s population growing, it probably makes sense to expand nearby amenities like the beach and campground in Bird’s Hill Park, but is it a priority? Is it worth the expense when the beach is only at capacity a few days a year? That’s for you to decide. It is certainly the kind of glamorous project the Government loves to promote.